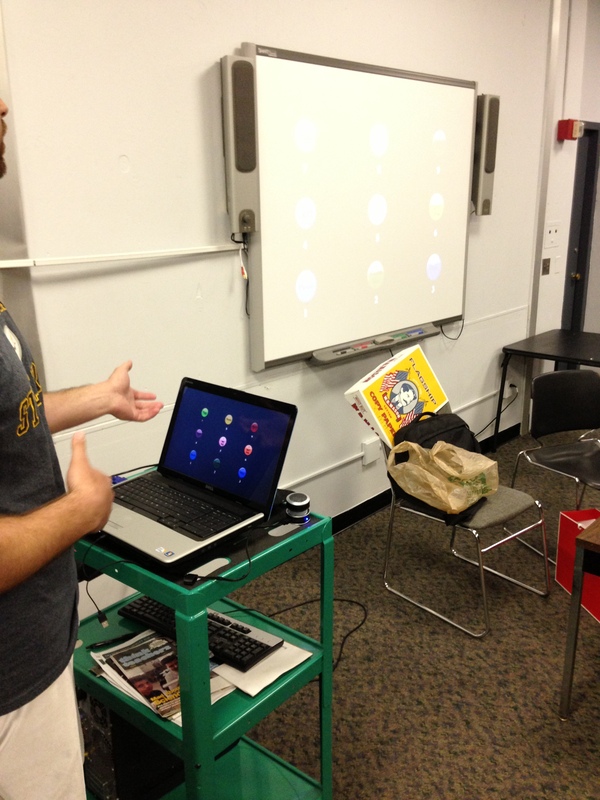 Here are some examples of the great project ideas developed by my SPED 410 students as the final project for our class. Enjoy! 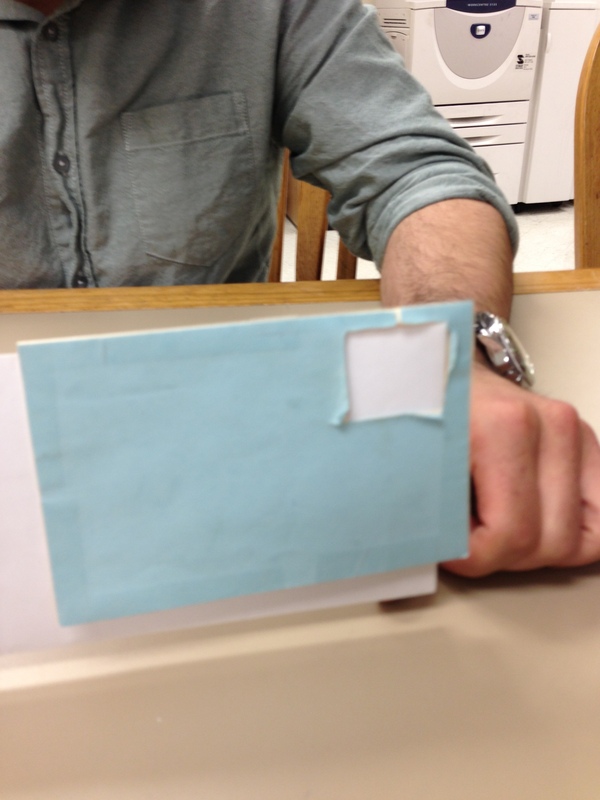 Fixture to allow consumer to position postage stamp in correct location on any envelope. 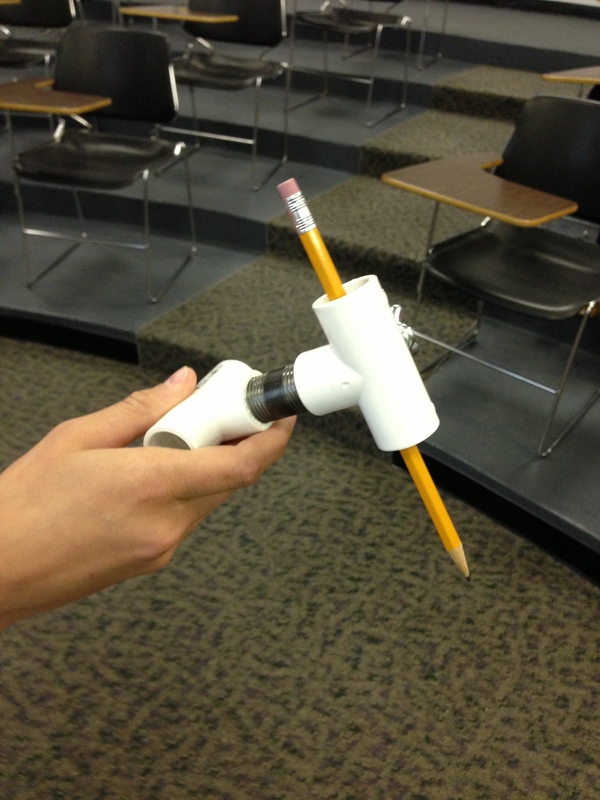 This pencil holder was created out of PVC pipe and a small thumb screw to secure the pencil. 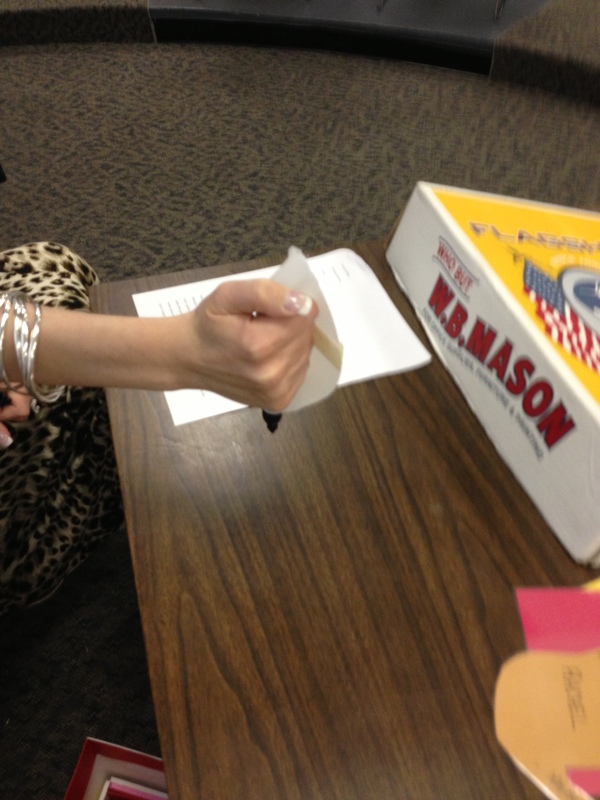 writing and also holds the corner of the paper down so it doesn’t move while writing. 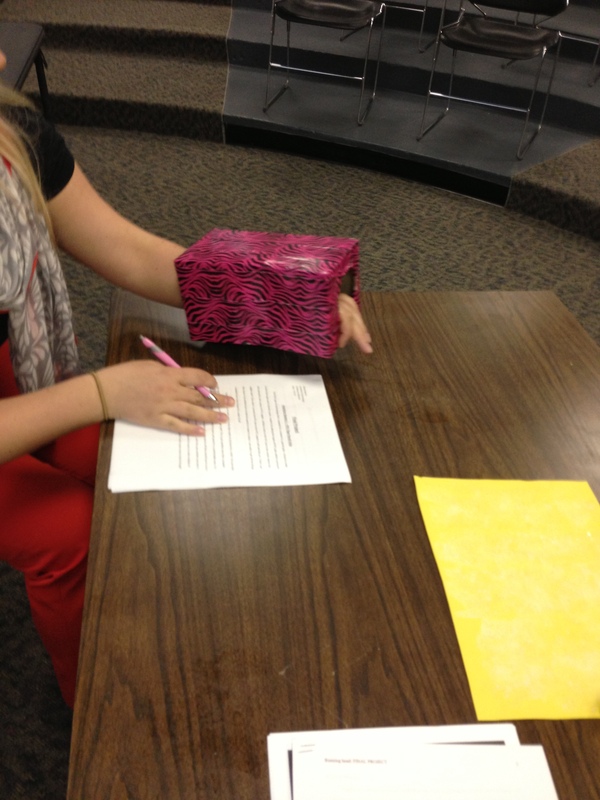 This box can be placed inside a desk to support a student that needs stimulation while seated in class. 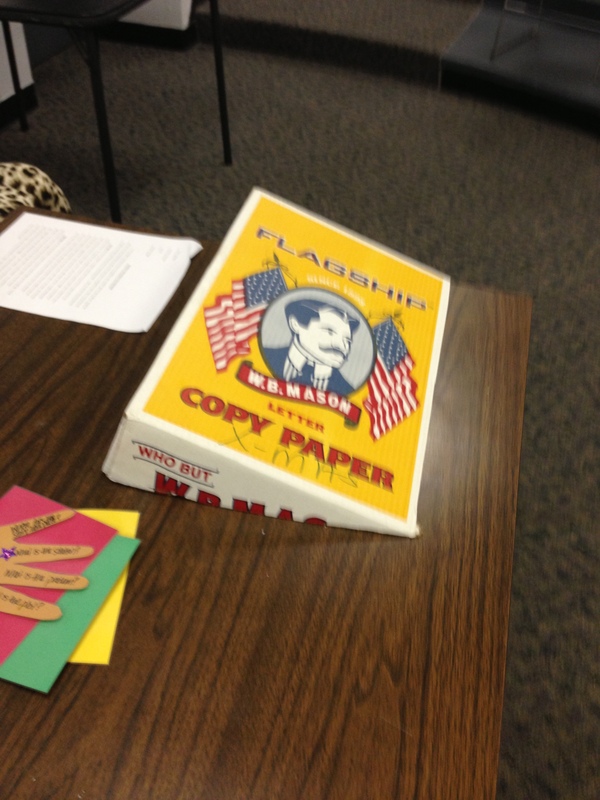 Slant board for student desk made from the top of a box from reams of paper. 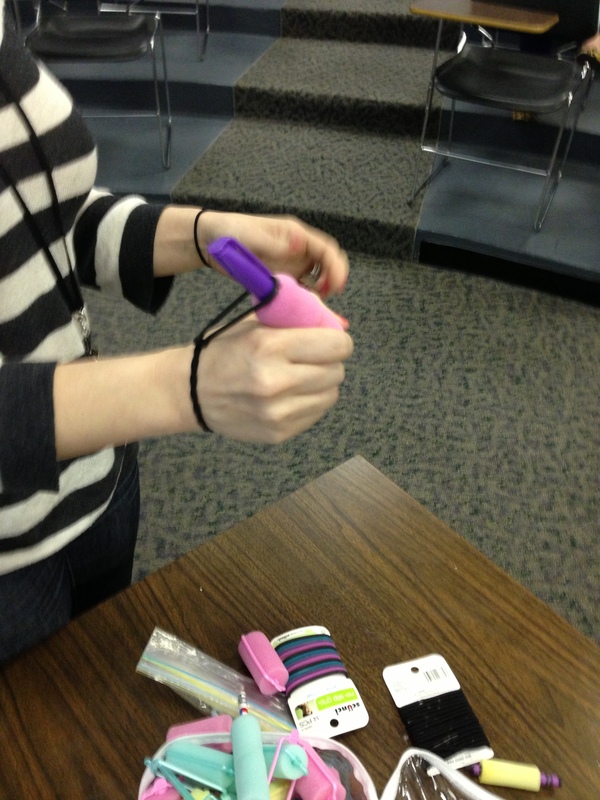 Marker grip made from the plastic handle of a milk carton. 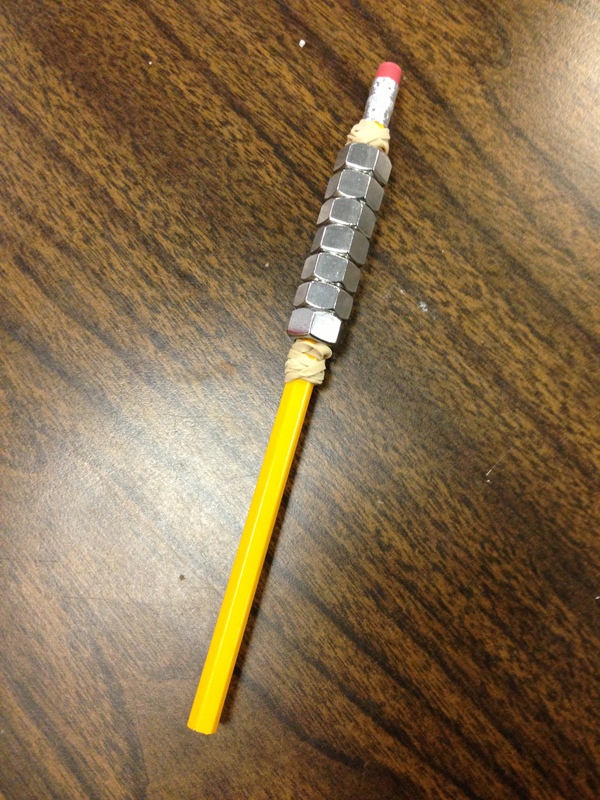 Pencil and pen grips made from foam hair rollers. Support from two hair ties. 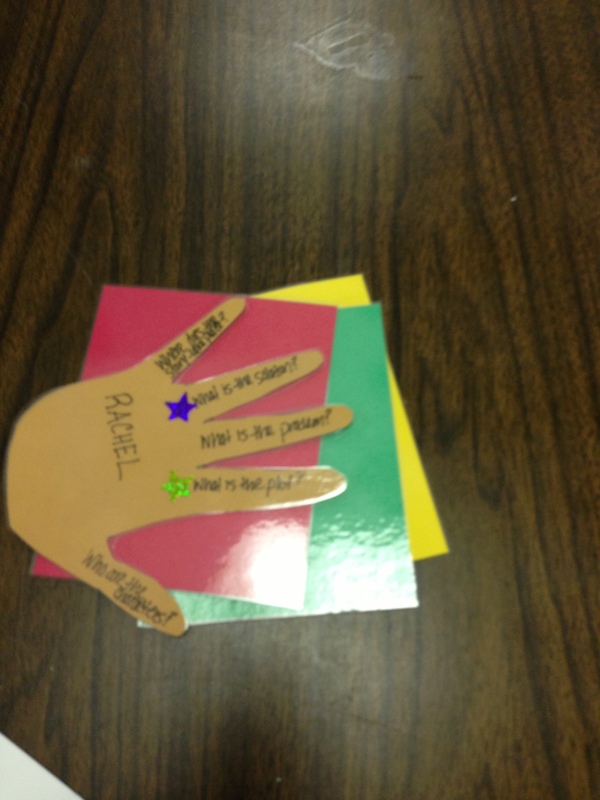 Cutout of hand used as writing prompt. 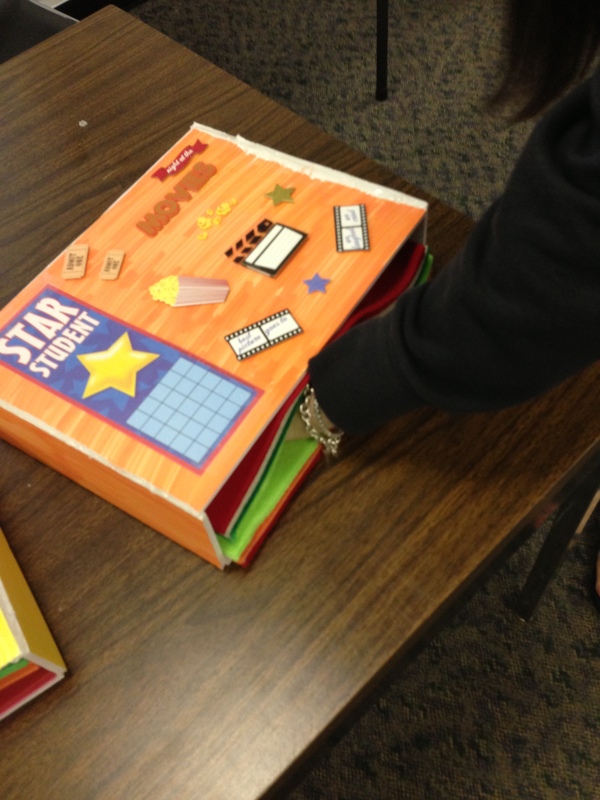 Colored cards to place on desk to indicate student mood. 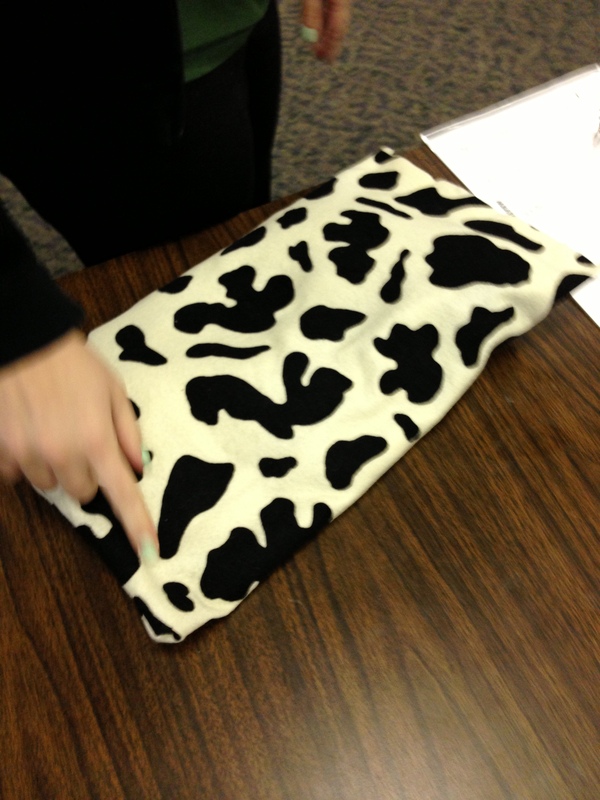 Cushion filled with sand to provide pressure on student’s lap while seated at desk. 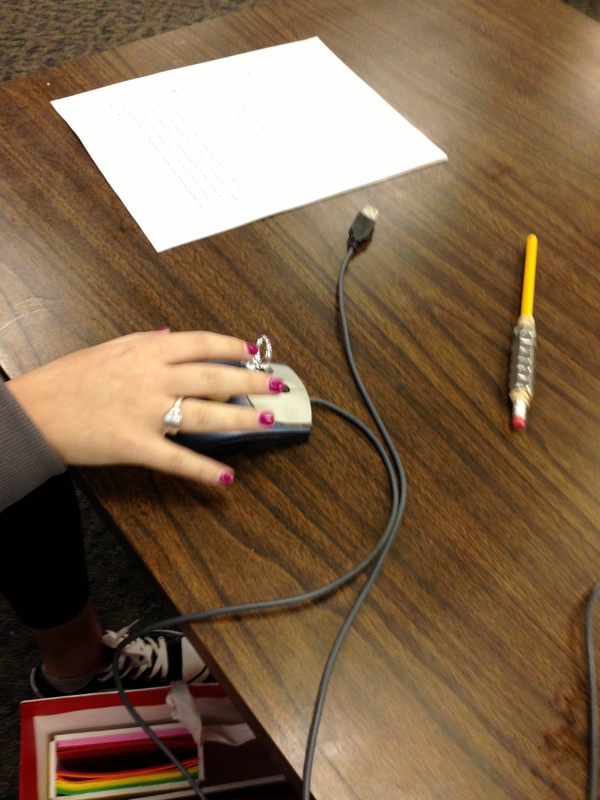 Computer mouse with ring attached to left click to support finger. 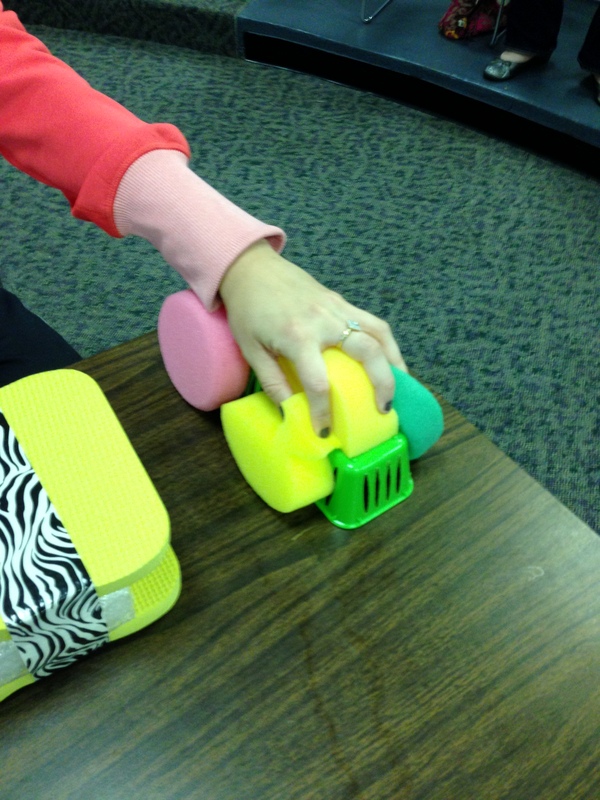 Foam toy used as a stress relief either on top of desk or inside desk. 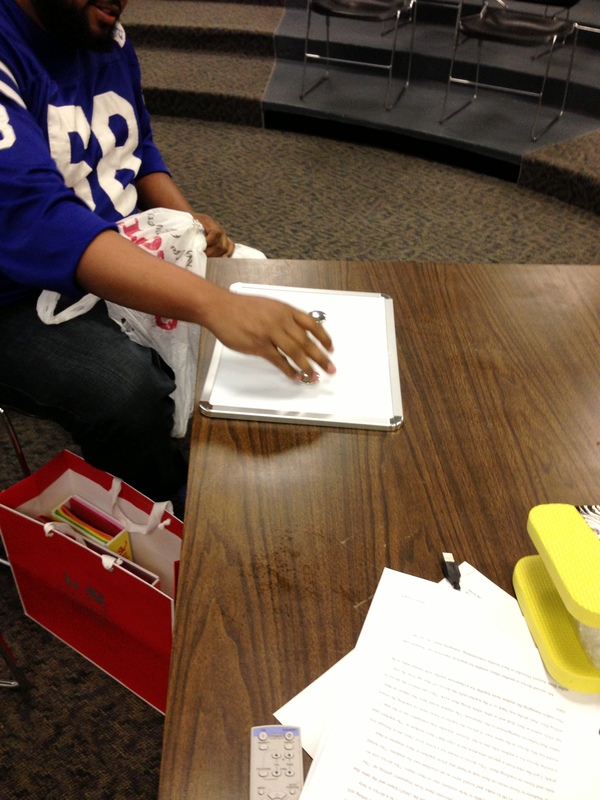 Magnets attached to dry erase board to secure papers while writing. 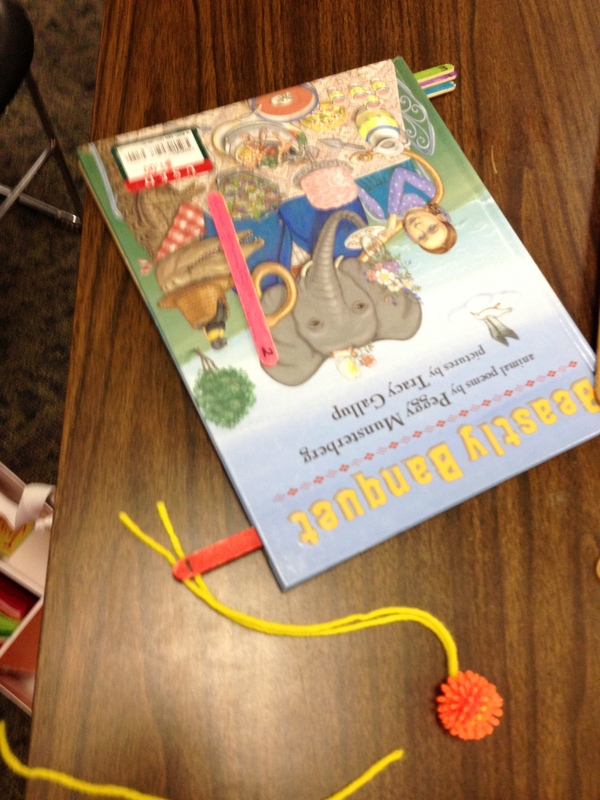 Popsicle sticks as numbered page flippers. Plus, small textured balls to facilitate grasp. Communication board created with simple computer program. Runs on flash drive and provides speech output. 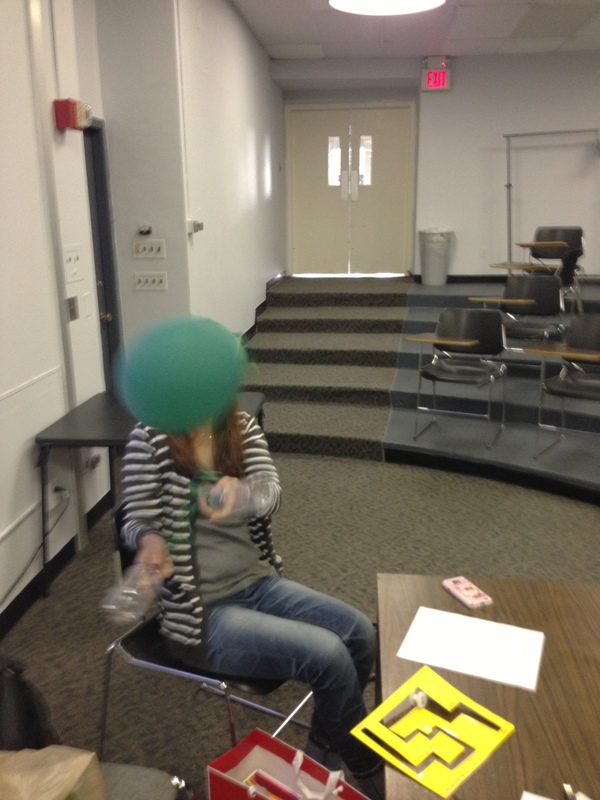 Therapy game for gross motor control made from a balloon tied between two water bottles. Very quiet game!